Hello! Wow, we’re already in the middle of December. As of today, there are only nine school days left until the Christmas Break! In the time between now and then, I have quite a bit of stuff planned. ENG3U students were introduced to Shakespeare’s “Macbeth” today. Students learned about the elements of a tragic hero and the elements of a Shakespearean tragedy. Then, we jumped right into Act 1 with some group reading. This will continue over the next few days as we cruise through the play. 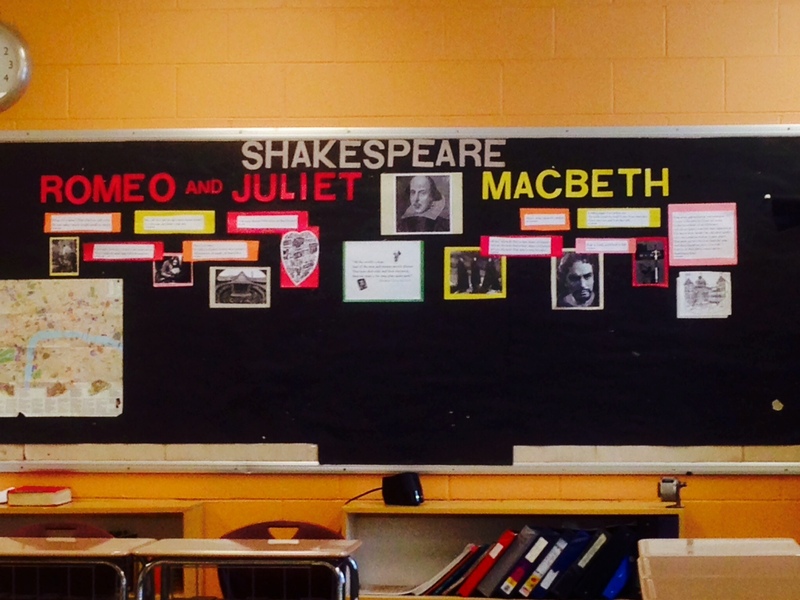 ENG2D students will also be introduced to Shakespeare this week, with a focus on “Romeo & Juliet”. This will be many student’s first time accessing the Bard. BTA3O students will be working on programming and Adobe Flash this week, continuing a few projects that were started last week. The second progress report of the semester will be handed out on Friday, so any-and-all outstanding assignments need to be handed in by Wednesday, December 11 to be considered on the progress report. Finally, a huge shout-out to our friend Mr. McFarlane and all the work he’s doing to bring his Nunavut hockey team to Geraldton. It was very cool to see him on CityTV’s “Breakfast Television” and then watch the donations flood in. Kudos to you, friend! Our ENG2D class is lucky to be paired with you.